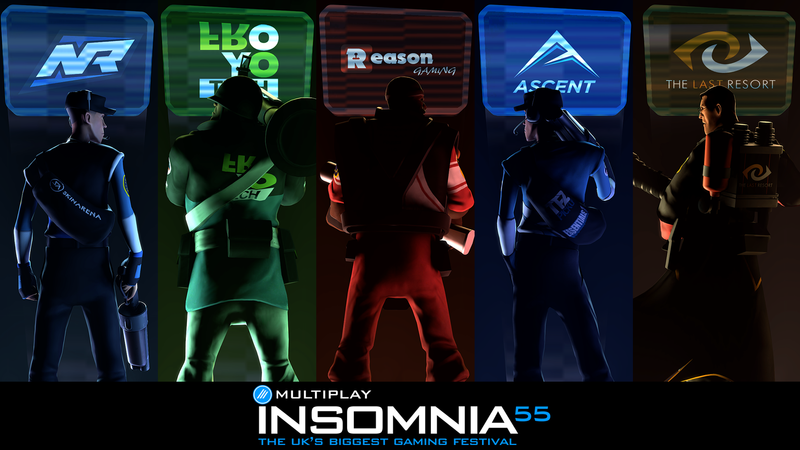 Insomnia55, the biggest TF2 LAN event, is this weekend! Who will win: EU or NA? Does anyone even watch comp TF2? Of course you do! Get hyped! Go to teamfortress.tv for more info. anyone wanna team on tf2? my account name is "cinibrother1"
TF2 is my life. I've logged +950 hours and I still love the game. It's really exciting seeing people here play the game I love. I'd be up for a scrub squad on ETF2L but anything NA seems out of reach since 300 ping is slightly unplayable. All right people, i've went out and spent about twenty bucks on TF2 for Gun mettle stuff. So far, it's an absolute waste of time and money. I got a few skins that i didn't have to unbox, like 3 field tested civilian grade old country revovlvers , how lucky am i ? donate to the Looch foundation of "I don't want to buy a contract thing, so gibe skins or I report hue hue hue br br so use me as a skin trash can"
I had to change to a DX9 config so I can see skins, now TF2 frame drops like hell, even with low settings. My steam name is NUG-NUG, so can I add you up for some games? Gun mettle campaign almost done. And still no hats for sentry. Who's watching Tip of the Hats right now? I'm tipping my hat intensely. I'm not pro, and can barely get more than two kills per life, but I'm doing far better than I used to. I'm pretty good at Pyro and Scout, and use both of their backshot type weapons (Backburner and Backscatter). I don't know what any of that means. Invasion update is here. What are your thoughts ? Also Player destruction mode is cool, though the rounds are often quite one-sided. The new arena map is ehhh. The new koth map 's pretty cool, a bit crowded. I don't have any items but i'll unbox some for sure when the price of crates goes down. So like in 2 days. What's the drop system like? Is it like contracts or random? I plan on buying the pass later today for some serious play. There isn't any contracts, it's random dropping (i got lucky because i'm just that amazing). So just buy it if you don't want to buy individual crates (it's cheaper to do right now) but you'll still have to buy the keys. And there are no new weapons (except for reskins, they're pretty cool but pretty rare).